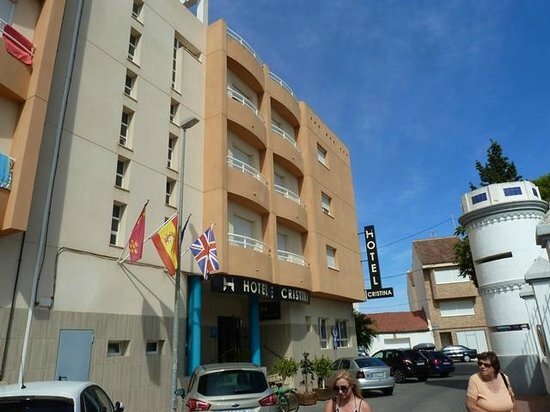 A 5 minute walk from the beach and 2 km from Roda Golf Resort, this casual, family-run hotel is very close to all amenities including Bars, Restaurants, Shops and Supermarkets. The cozy, simply decorated but clean and tidy rooms feature TVs. Upgraded rooms add sitting areas with pull-out sofas. Room service and Wi-Fi are available for a fee. There's a warm, casual restaurant offering lunch and dinner, as well as a relaxed bar with a wine cellar serving light fare. Relaxed, family-run lodging offering very nice rooms plus a laid-back restaurant and a casual bar. This 3-star hotel is a unique spot well-known for its warm, shallow waters and a good place for learning different water sports. This location is ideal for family holidays, because the shallow waters are great for bathing with smaller children. The Cristina Hotel has all the facilities that your stay needs to improve your rest to the max. 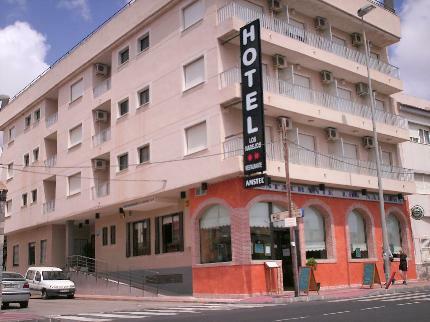 Overlooking the Mediterranean Sea and a 4 minute walk from Los Narejos Beach, this modern hotel is 1.3 km from Las Velas shopping mall. Casual rooms, accessed via panoramic lifts, come with free Wi-Fi, flat-screen TVs and minibars, plus pull-out sofas. Most have balconies. Suites add living areas. The 2-bedroom family rooms and upgraded suites include separate lounges. Family rooms also have microwaves. Public areas, featuring original paintings by a renowned local artist, include a buffet restaurant, a bar and a cafe, plus a TV lounge. There's also an outdoor pool, a hot tub and a kids' pool, as well as a fitness room, a spa and evening entertainment. 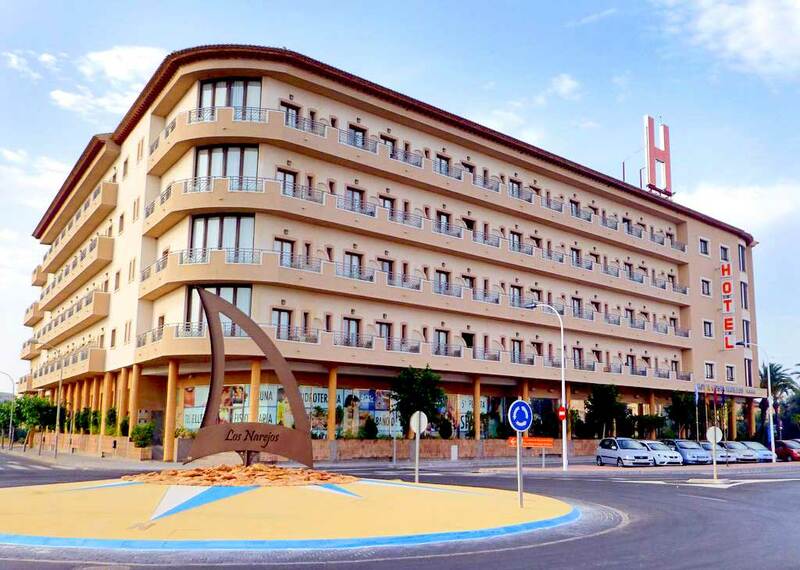 A modern building is only a 1 minute walk to lots of Bars, Restaurants, Shops and Supermarkets, this plush hotel is 7 minutes' walk from Los Alcázares beach and 4 km from Murcia-San Javier Airport. Airy rooms with balconies feature free Wi-Fi, satellite TV and minibars. Suites add lounges, and some include whirlpool tubs. Room service is available. There's a contemporary restaurant and a trendy lounge bar, as well as a rooftop pool, and a spa with a sauna and a whirlpool tub. Other amenities include a library, conference facilities and free parking.